This is just something I cooked up quickly during our group’s China unit several years ago. I can’t find the original digital file so I just scanned a copy of the paper I had handed out in class. If I can find the digital file I’ll upgrade the download. But I figured until then, I’d still post this one as better than nothing. 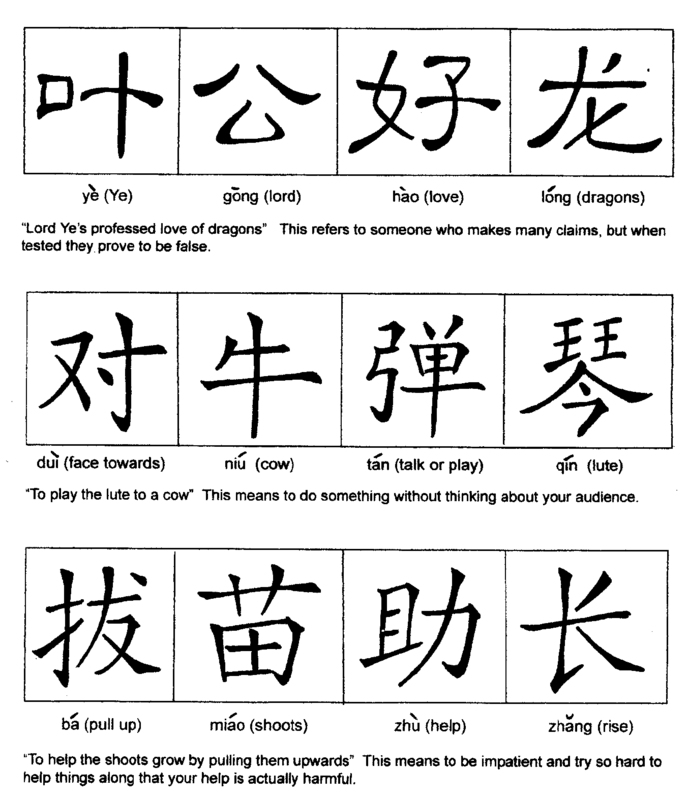 The students learn some Chinese idioms (or proverbial sayings) and then write four of them using Chinese characters.